ArcelorMittal Warszawa is a strong contributor to the development of Warsaw (Poland). Many projects have been realised with our steel, including the expansion of Warsaw’s metro. 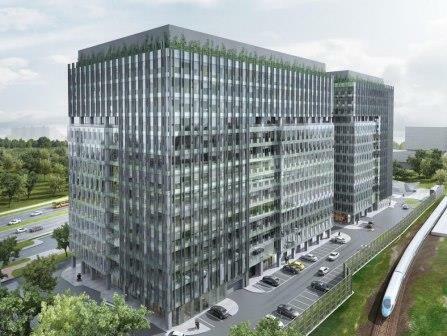 This time, close to 10,000 tonnes of reinforcing bars (rebar) produced in ArcelorMittal Warszawa will be used for the Praga Koneser Center, the office complex West Station and the highway ring of the Marki suburban district. Let's start from East of Warsaw, on the right bank of the Vistula river in the Praga district, where on the premises of the former Warsaw Vodka Factory called Koneser (Connoisseur), the unique redevelopment project is underway. It involves the revitalization and modernization of old factory buildings and the construction of a new complex, integrated into the post-industrial space. 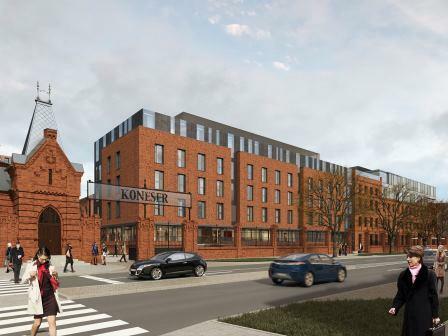 The Praga Koneser Center has a chance to become the lifestyle centre of Warsaw. In the foundations and underground infrastructure for the residential lofts and offices, about 2,800 tonnes of rebar produced by ArcelorMittal Warszawa were used. Authentic elements of the factory, which was founded in 1897, are being renovated and adapted to mixed residential, commercial, business and cultural use. The complex will have its own underground parking and a monitoring system. Koneser is a model for contemporary urban space; open and friendly. The complex will comprise a Vodka Museum, more than thirty restaurants, cafes and bars. Spacious urban squares will be a good scenery for cultural events and fairs. It is scheduled to be completed in the first quarter of 2017 at a cost estimated at 104 million euros. Still located on the right bank of the Vistula River, the ring expressway is under construction. On the North eastern outskirts of Warsaw, this investment is long-awaited by the residents of the always congested suburb of Marki. The ring expressway will make the trip from the capital towards Białystok, Mazury and Suwalki region (East Poland) much easier and faster. 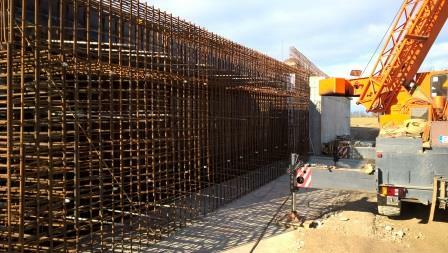 ArcelorMittal Warszawa delivered about 3,000 tonnes of rebar for its construction. The entire Marki bypass is 15.4 kilometers long and will cost approx. 167 million euros. Drivers will have access to 3 lanes of roadways. The project includes acoustic screens, water retaining system and passages for animals. The work completion is scheduled for the end of the summer 2017. Now let’s move to the West, to the left bank of the Vistula River, in the Ochota district where the modernised railway West Station was opened in December 2015. Next to it - in areas belonging to the railways - a modern business complex is being created. It is composed of two 14-storey office buildings offering a total of nearly 68,500 square metres of surface. The first office building is almost ready. The second - which will be opened in the beginning of 2018 - will comprise about 4,000 tonnes of rebar produced by ArcelorMittal Warszawa.